Let’s take a look at some games and how they handle time travel, and explore whether they would be plausible in the real world. 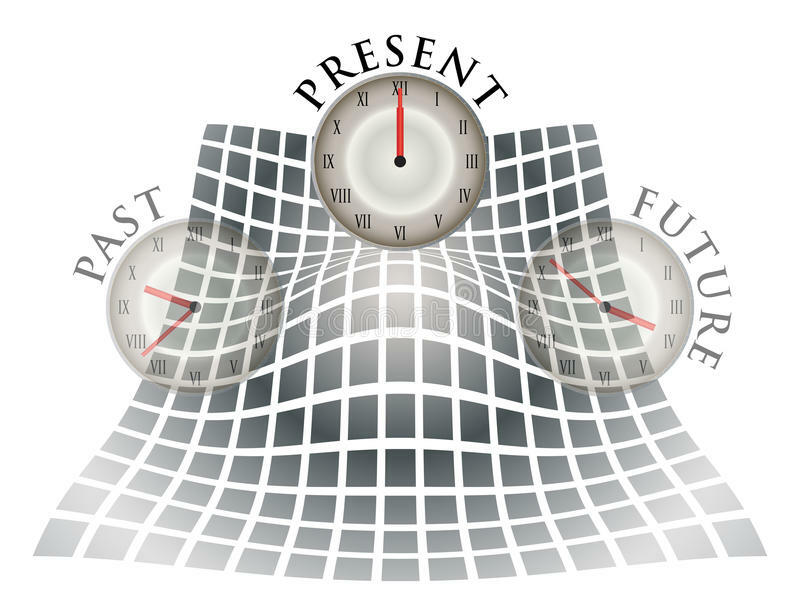 The first type of time travel is the one of the two that people most often think of when thinking about time traveling; this is the “do-over.” For this type of time travel, the time traveler moves backward (or forward) in time along a straight line, preserving their memories and getting a chance to simply re-do events so the future occurs differently. No one but the time traveler is aware that things are changing. The best examples of this are The Legend of Zelda: Ocarina of Time, as well as Prince of Persia: Sands of Time and even Life is Strange. To take the Zelda games as the explored example, Link travels between his childhood and adulthood through the use of the Master Sword. While the Ocarina of Time can bend time and space, it doesn’t fall under the heading of a time-traveling device because being able to speed up or slow down time isn’t technically time travel. One thing that Ocarina of Time does very well is that it let the future occur first. This means that Link sleeps for seven years, allowing time to pass and events outside of the Light Temple to occur, before he hops back and forth between the two time periods. This is important, because if Link didn’t wait for this time to pass, he might have “fast forwarded” into an empty future because the rest of the world might not have caught up to him yet (at least, in one view* of how time works. Let’s chat in the comments about it). I tend to be very skeptical about the possibility of time travel, but I think, like most time travel scenarios, this one has some issues that create time paradoxes. The first is the question of memories. The time traveler preserves his memories as he travels through time, but any action taken in the past will affect the future. So let’s say, for instance, that a time traveler travels back in time to erase a fight he had with his father. After rewinding (remembering the fight) and stopping himself from fighting (in the past), the time traveler would technically forget that the fight ever happened. Most people want to time-travel while retaining their memories, which would clear up some of this. However, the fight would still have had to have happened and not have happened at the same time… especially if we are agreeing that time is a straight line and there is only one reality. In either of these cases, the time traveler (in the future) wouldn’t have a reason to time travel, unless the event of time-travel was predestined. If that is the case, then the time traveler would have to have both fought with his father and not fought with his father, because the events of the future (time travel and fixing the fight) would have already happened (since the time traveler makes them happen in the past), but the fight would also have had to have occurred, in order to give the time traveler a reason to time-travel in the first place. This is another popular time-travel wish, to go back in time and meet your past self. Perhaps you’d want to tell them it will be okay, or give them information in a sort of “if I knew then what I know now…” scenario. This is another popular time-travel wish, to go back in time and meet your past self. Perhaps you’d want to tell them it will be okay, or give them information in a sort of “if I knew then what I know now…” scenario. In Yoshi’s Island DS, Baby Bowser (not to be confused with Bowser Jr.) is facing off against Yoshi and Mario, and long story short, doesn’t fare to well. But even though he is a baby, when Baby Bowser cries for help, it is not a Mommy or Daddy Koopa who comes to his aid. Instead, grown-up Bowser barrels through a time portal from the future to help out his past self. Time travel like this operates under the idea of eternalism (that past, present and future are all existing in the same way as each other), and it is only possible if we were to accomplish two things: let go of the idea that we have free will, and bend space-time to the point that it reconnects with itself in a closed time loop. Let’s forget the physics part of it for a moment (you can check out here if you’d like to read an accessible article on closed time loops), because that is, as far as physics says currently, impossible, and therefore this time of time travel is impossible even from a theoretical standpoint. But for our purposes, let’s look at the idea of free will. The way we understand the past is that it is fixed. Events happened at certain points in time, period. So, if we were to continue this as a thought experiment, it would mean that if 30-year-old us was going to go back in time to meet 13-year-old us, when we were 13, we would have already met our 30-year-old selves, and that means that we would remember happening now that we are our 30-year-old selves. It is something that happened in the past, and we remember things that happened in the past. If we accept that time flows in a straight(ish) line (because it is impossible to create a closed time loop), then all past events would have had to have already happened. These past events must then dictate the events to happen in the future. That is, if I’m going to time travel to meet a younger me, Younger Me would have already met Older Me, and then Older Me would be predestined to time travel on a certain day at a certain time. For a non-game example: when Harry and Hermione travel back in time in Prisoner of Azkaban, and the reader sees that Future Harry and Hermione already existed in the past, and then Future Harry and Hermione watch themselves time travel. Every action they take has already happened in the past, and therefore the future must happen a certain way, in order for the past to be true. To bring this back to the Yoshi’s Island DS example, we have no idea of knowing whether Bowser created a time paradox by meeting his past self. 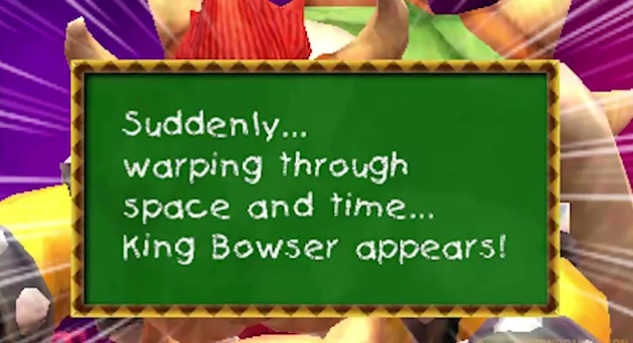 It is completely reasonable to assume that that is an event that did happen in Bowser’s life, and he remembered it, and knew he would need himself, and traveled back in time to rescue himself. Baby Bowser meets Future Bowser, and Future Bowser does travel back in time. So if we become comfortable with the idea of our life journeys being, at least somewhat, predetermined, this type of time travel becomes a lot easier to accept and understand. Originally, this was going to be one enormous post, but after writing, it seemed like a lot to absorb all at once, so we will bring this exciting topic to its conclusion next time. We have two more types of time travel that are used in stories, and we’ll also talk a little bit about Braid, which is yet another iteration of time travel that is handled well. Join us next week for the exciting conclusion of traveling through time in games! Special thanks to LightningEllen for suggesting this idea over On Patreon! What is your preferred method of time travel in games? What do you like about it? If you met your future self, what video game would you want to play together? Let me know in the comments! **Do you like what you’ve read? Become a revered Aegis of AmbiGaming** and show your support for small creators and for video games as a serious, viable, and relevant medium! This is really interesting and also really complex! I grew up watching the great kid’s show “Bernard’s Watch”, which dealt with something similar to time travel: the ability to stop time. I don’t know how well it holds up, because I’ve never gone back to watch it but I remember thinking it was clever as a child and really intriguing in way that time travel proper has never been. Despite my dislike of time travel, one of by favourite game’s is all about it: Time Splitters 3: Future Perfect. It manages to contain bootstrap and grandfather paradoxes altogether but it just has some much fun with itself that I’m not bothered by it (in a way that I am with Doctor Who, say, which occasionally takes itself seriously). It also really leans into genre and tone; with horror, cyberpunk, sci-fi and spy thriller all getting play in appropriate eras. Similarly, I agree with most in the Power Rangers fandom that Time Force is an all time great series but, again, that’s down to the interesting characters, compelling themes and the focus on relationships. Despite being the central premise, I think the time travel concept could’ve easily been done away with and replaced with something like dimension-hopping and very little of value would’ve been lost. I’m interested to hear you talk about ‘Braid’ because it seems to be one of those titles that few people talk about anymore (despite the reception being very good, if memory serves). I don’t think I played Time Splitters, but it does seem like everyone has their own flavor of time traveling when it comes to gaming mechanics, with some more successful than others. Regarding Braid, it’s hard to keep it concise, since there is a lot to unpack, but I think it provides some really good examples! And thank you for the shout-out. I’m glad my babbling at you gave you an idea for this post, haha. Yep, yep, yep. Yesterday is tomorrow and today is last week, or something like that. Once you start thinking about it, it’s amazing how many games use time manipulation as a mechanic/part of the story! It was surprisingly easy to come up with examples. And yeah, you beat future you at Mario Kart, I suppose…? Future me never showed for the game of Mario Kart. I fee so stood up, haha. I think you would really enjoy a novel called The First Fifteen Lives of Harry August by Claire North. It’s about people who relive the same life over and over again retaining their memories of each prior. The titular character receives a message from someone like him who is currently a child at the end of his life to pass backwards in time in order to avoid a future cataclysm. Omg I think my brain would blow up haha It sounds awesome! That was my Book of the Year for 2018. It’s probably going to take me a month to write the review. It’s been a long time since a fictional work made me think that hard about quantum physics lol.